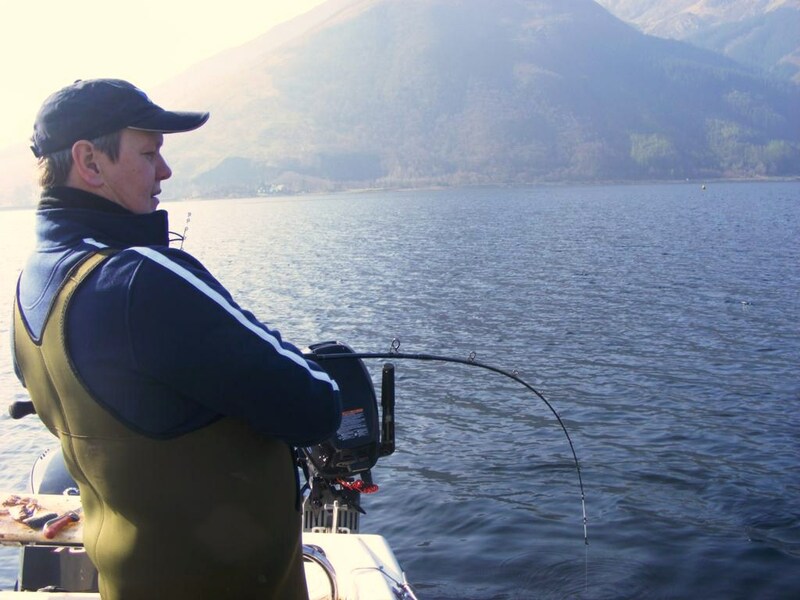 After a couple of decent trips to Loch Leven and catching some decent rays, it was a fairly easy choice to make to head back that way for a lazy day’s fishing. 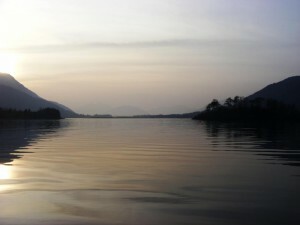 The hour had just changed so I took pity on Ian and arranged to meet at Lochearnhead at 7.30, with a view to launching around 9.00 a.m. and staying on until sunset. We got the boat in the water down at Ballachulish bridge in nice calm conditions and headed up the loch against the early ebb tide. We kicked off near the fish farm and hit a couple of thornbacks almost immediately before they went into hard to get mode and got replaced by a succession of dogfish. I’d put down a set of mini-shrimps and caught a mini-whiting and a surprise mackerel, but otherwise things were fairly dull and not helped by a slight wind against tide situation developing. Eventually we’d had enough and moved up the loch towards a spot I’ve fished from the shore and quite fancied as a boat mark. We stuck it out here for almost two hours before admitting defeat – only LSDs bothered to show up to this particular party, and I was quite disappointed to be honest as it looked like quite a good spot on the sounder. Next up was a move further up the loch to near where I’d been shorefishing successfully a few weeks earlier, and we dropped anchor between a cluster of pot buoys close to shore. Once again things proved poor, with only a handful of fish showing before we gave up in disgust and headed back towards the Isles of Glencoe and a last try on what had become a gorgeous spring evening – no wind, sunny and almost warm. Thus we spent the last 90 minutes of our day dozing in the sunshine and catching precisely zip – and indeed only the merest hint of a bite. We had however caught a fair bit of sun, so it was a big red face that made an appearance at work the next day – not too bad for late March in Scotland. Between us we’d caught 9 or 10 rays and perhaps double that number of doggies, plus odds and sods like the mackerel and mini-dab, but it was very poor by comparison with the earlier trips.